When enterprise mobility strategies are discussed, security is usually one of the first topics on the table. 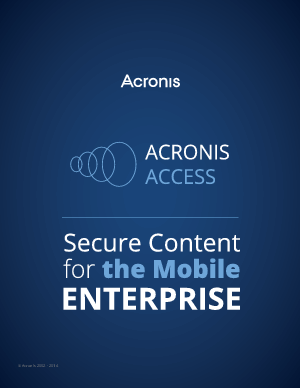 So it should come as no surprise that Acronis Access Advanced was designed top to bottom to meet the needs of mobile users while providing enterprise class security. Download now to discover the main benefits of using Acronis Access Advanced solution.